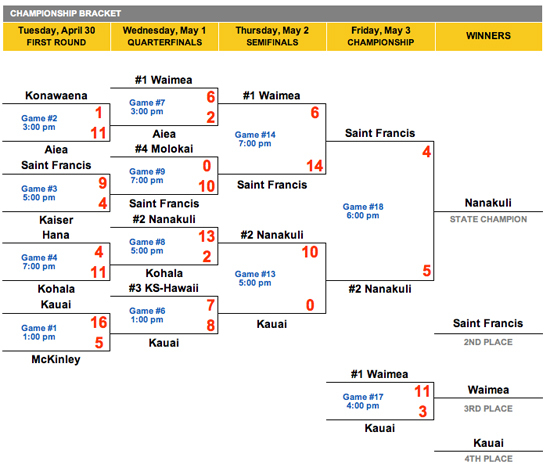 Kamehameha Schools Hawaii was the top finisher in the girls softball Division II state tournament last week on Maui. No. 3 seed Kamehameha lost 6-3 to Aiea in the consolation bracket to hang on to sixth place overall. The other two Big Island entries did not fair so well. Konawaena was knocked out of contention in the first round, while Kohala hung in until the quarterfinals.